Do you remember when the New York Mets lost 25-4 to the Washington Nationals last month? Well, they flipped the script and handed the Philadelphia Phillies a lopsided defeat. 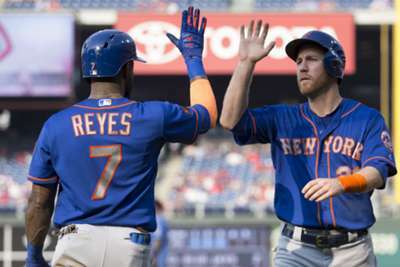 The Mets set a franchise record after racking up 24 runs to claim a comprehensive 24-4 win in the first game of Thursday's MLB doubleheader. Amed Rosario started things off in the opening inning with a home run to centerfield, and Philadelphia promptly responded with two homers of their own in the following inning. The Mets were only up by 5-4 entering the fifth inning and that is when the game broke open for New York. New York put up 10 runs and kept adding to it. Jose Bautista helped the Mets set their new record with an RBI double to end the scoring. The Mets scored 40 runs in a two-game span between Wednesday's game and Thursday's opener before losing 9-6 to the Phillies later in the day. Tampa Bay Rays pitcher Blake Snell was red hot against the New York Yankees. The southpaw struck out six in his scoreless outing. 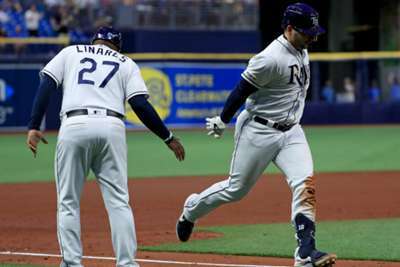 Snell spent five innings toeing the rubber, and was awarded the win in the Rays' 3-1 victory. He moved to 14-5 with a 2.10 ERA. You cannot bring up a 20-run victory and not talk about the losing team's bullpen. The Phillies were no match for the Mets, and went through five pitchers trying to keep New York's streaking offense at bay. Ultimately, Ranger Suarez was tagged with the loss. He has had just two appearances with Philadelphia and sits 1-1. The Texas Rangers recorded their sixth triple play in franchise history as they beat the Los Angeles Angels 8-6. The Angels loaded the bases at Globe Life Park in Arlington, when David Fletcher grounded into a triple play. The Seattle Mariners sit just two-and-a-half games behind the Oakland Athletics for the final American League wildcard spot and will hope to push ahead when hosting the Los Angeles Dodgers on Friday. The Mariners are coming off a series loss on the road against the Athletics but will be at home in the Pacific Northwest for their next six games. Seattle are giving Wade LeBlanc the start. Los Angeles will head to Seattle after taking the final game against the San Francisco Giants at home. Walker Buehler will start on the hill for the Dodgers.